Riding a hoverboard is an exhilarating experience, once you master it that is. Although learning hoverboarding can be a bit tricky, once you are used to the self-balancing scooter, you are sure to have the utmost fun. Being a fairly new toy on the block, you will find choosing the right hoverboard a bit overwhelming. Whether you are purchasing it for your own use or as a gift, you need to look at various factors including reliable brand, sturdy build, warranty, battery life, etc. While there are several hoverboard brands available now only a few manage to stand out from the rest with their quality and performance. 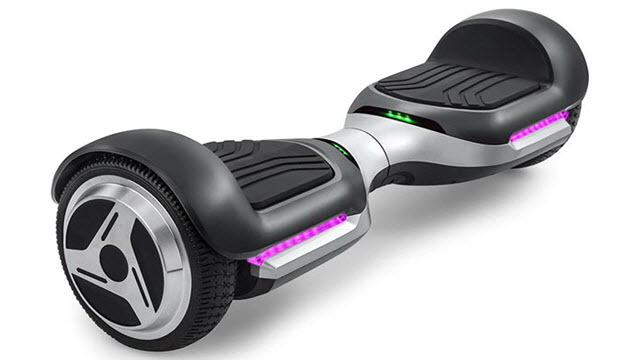 Spadger G1 Premium Hoverboard is one such product that is an ideal holiday or birthday gift offering some outstanding features including free smart app, auto-balancing, led lights and Bluetooth speaker. Let us have a more detailed look at the specs and see whether it truly provides premium quality and performance as its manufacturer claims. With hoverboards still being a new and untried phenomenon by many, there are many misconceptions and fear about using it safely. The UL2272 certification puts all these to rest as the certification involves performing several electrical and safety tests that are standard safety procedures in the industry. With UL2272 certification, you can be assured that the hoverboard is a safe one free of any mishaps including catching fire or exploding while riding. Spadger construction is focused on providing a stable footing while you use it. The firm gripping footpads prevent you from slipping. 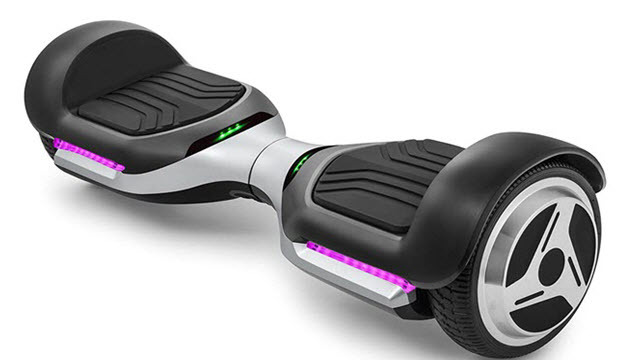 The auto-balancing feature exclusive to Spadger hoverboards enabled by gyro sensors helps to balance you on the hoverboard. The sensors keep you in a balanced and upright position improving safety and ensuring you have a smooth and mishap-free ride every time. Another safety addition included in the hoverboard is the LED indicators that allow you to ride at night time without worries about colliding with oncoming traffic. Spadger G1 is a lightweight hoverboard compared to other competitor brands. You will find maneuvering it is easier as a result. This is especially true when you turn tight corners or decide to test your newly acquired hoverboard skills indoors. The G1 Premium hoverboard from Spadger provides a decent speed of 7mph maximum, which is just right for beginners as well as experienced players. The speed is ideal for children and older people as it is a standard and safe speed for hoverboards. The dual motors of 250Watts capacity make it easy for the board to achieve the speed. The motor power enables you to climb slopes and or inclines that are of 15 degrees or below the level. The battery is rechargeable and takes just around one to one hour thirty minutes for charging. The hoverboard can travel a maximum distance of 8 miles on a single charge. With safety being the utmost priority for the user, it is important for hoverboards to pass the necessary safety tests and standards. The UL2272 certification assures that the Spadger G1 Premium hoverboard is perfectly safe to ride and have fun. Spadger G1 Premium self-balancing scooter has two inbuilt motors of 250 watts providing an acceleration of about 7.5mph. The powerful motors provide the drive needed to race uphill or downhill or on plane surfaces with ease. 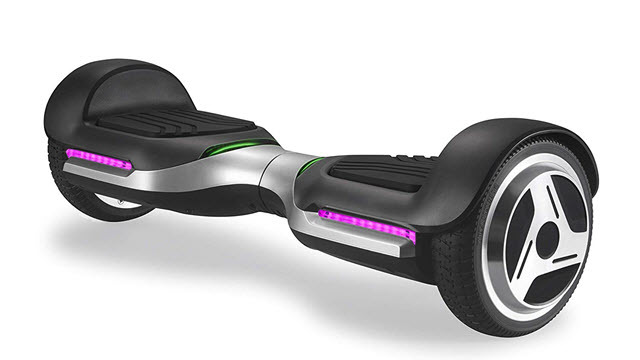 Spadger uses automated and smart self-balancing tech with the help of gyro sensors integrated into the hoverboard. The sensors detect motion and help you balance on the board quickly, so you are ready to ride in less than 10 minutes. Spadger provides a free smart app that supports Android and IOS devices. Hoverboard riders can check battery power, the speed of the hoverboard and adjust speed, customize the LED indicators and more with the app. Bluetooth speaker inbuilt in the hoverboard enables playing music via the speaker on the board as you explore or hover on the board. Despite entering the industry a few years back, Spadger has managed to provide top quality personal mobility equipment that excels in innovation and technology. The Spadger G1 auto balancing hoverboard is one of the products from the brand that stays true to the quality and smart technology the company is reputed for. The hoverboard has several innovative features including gyro sensors, smart app, Bluetooth and safe grip pads among other usual features making it a highly desirable product not only as a gift but also for aspiring hoverboarders of any age.